When I first started buying puppets for my children, I wasn’t sure what to do with them. Of course it was easy to entertain my children just by putting the puppet on my hand and making it talk to them; but I wasn’t satisfied with the way I was doing it. The puppet didn’t look “alive.” Also, I wasn’t a ventriloquist and I didn’t know any stories that the puppet could act out. So I started to learn more about storytelling and puppets and applied what I learned. Now I’d like to share some resources with you would-be amateur puppeteers. Stories: Any children’s story will do. Your puppet does not need to act it all out. 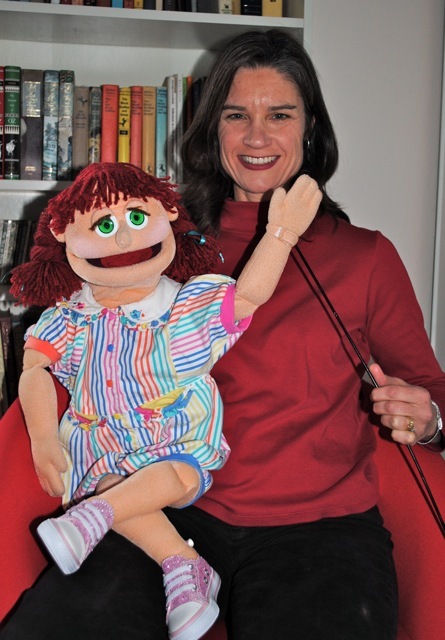 In fact, instead of acting out a story with my puppet, I used to tell a story “in tandem” with my puppet Lucy-Loo (I often told stories at my children’s school). I find the best stories to tell are folktales. Find one that you love, learn the story by reading it over and over (and over) with your child, and then practice telling it with your puppet. You do not need to memorize the story. Just picture it in your head and tell what happens in your own words. You can memorize important lines and repeat those but don’t worry about memorizing the rest. Folk tales are meant to be retold and embellished! Your local children’s bookstore (if you’re still lucky enough to have one). If you live or are traveling in the Bay Area, CA be sure to visit Linden Tree Bookstore. Their staff is very knowledgeable and they have a large inventory of children’s books. Amazon – “Ready To-Tell Tales” by David Holt and Bill Mooney is a good choice; I also recommend “Storytelling Made Easy With Puppets” by Jan M. VanSchuyver. Puppet Sources:Check out your local toy store or google hand puppets and you’ll see many choices. Below are a few of my favorites. Most toy stores sell Folkmanis puppets. 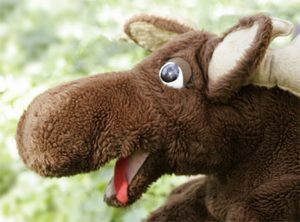 These are beautiful puppets – mostly animals, and are very popular. The one drawback however is that some of the working mouths are hard to manipulate. It helps to fit them on your hand to see if they are right for you. 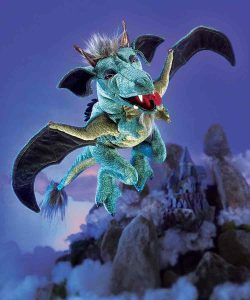 They have a new dragon puppet out that has a great working mouth. The Puppet Store has many varieties, including big mouth, full-body puppets similar to my Lucy-Loo. For professional quality, full body puppets, check out Puppet Planet. These puppets are hand-made and full of personality! 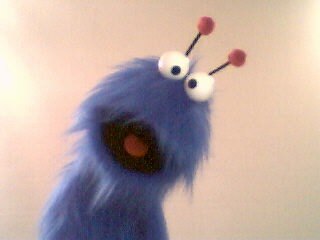 Another fun on-line store is Monster Puppets. These puppets are custom made and very large. Here’s a site called Project Puppet that sells patterns to make your own professional quality puppet. I haven’t tried any of these but the pictures look great! I hope this gets you started on your puppetry! Whether you are a parent, educator, storyteller, minister or therapist, puppets can be a valuable tool as well as a fun toy. Put one in your giftsoc today! Please feel free to comment and let me know how your puppetry goes or if you have any questions. Thank you!